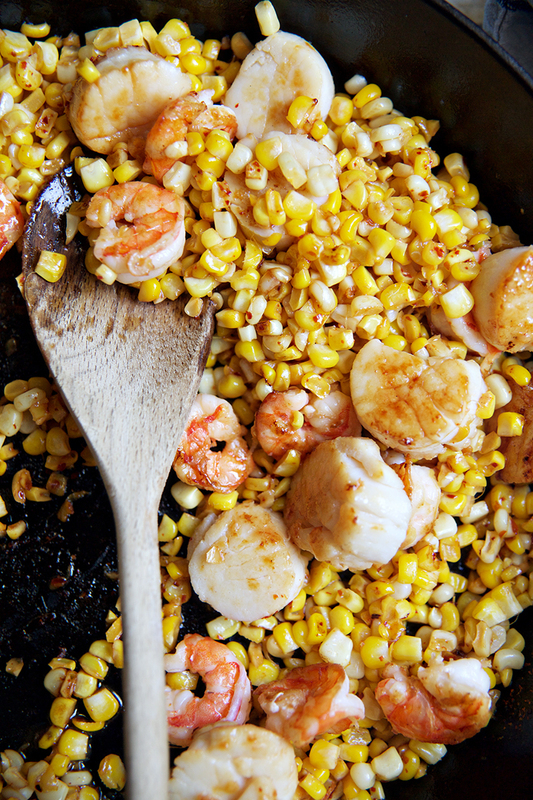 I think you should call it the best shrimp and scallops ever! 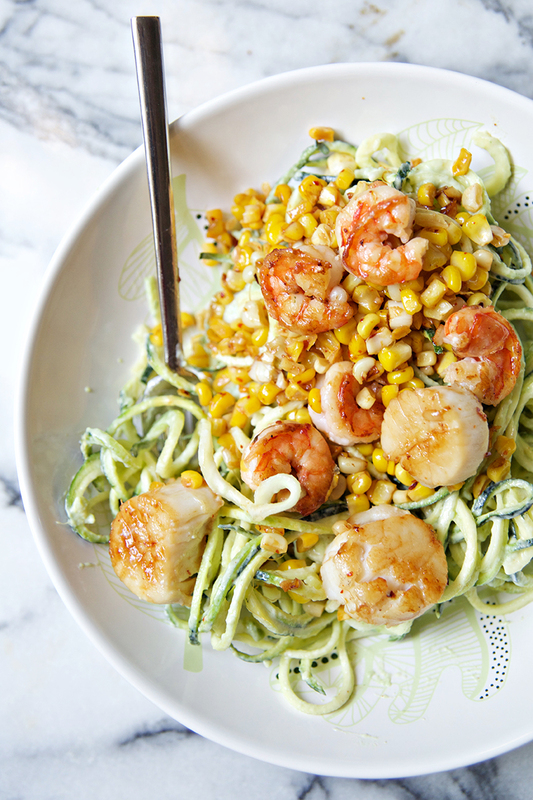 :D Loving everything about this recipe – such a fan of zoodles, shrimp and scallops. Looks fabulous! Such a delicious-looking recipe! Photos are gorgeous, and the zucchini noodles so fun! 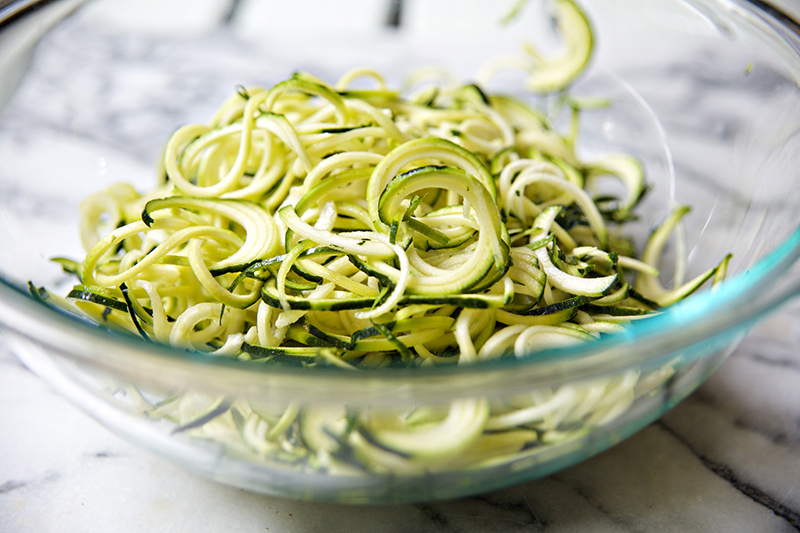 I may have to go out and get a spiralizer so I can make this! This dish is the perfect summertime dish. 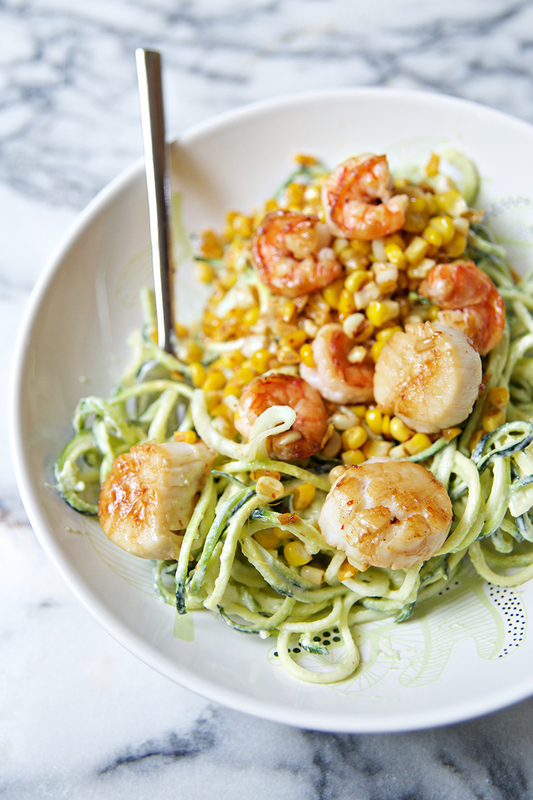 It’s a great way to use up all that zucchini and corn PLUS scallops! Who wouldn’t want this delicious dish in their dinnertime rotation. I really, really need to get a spiralizer. This dish looks absolutely amazing and I want to make it! Also, I’m glad you got out of your funk. I hope the school year goes well! This looks like the perfect summer meal! Love everything about this meal and the pictures are gorgeous and so vibrant! this looks fabulous. I am totally into spiralizing too. Is there a printable version of this that I am missing? Yes! At the bottom of the post are a few different ways you can save the recipe. The printer icon is furthest to the right. This looks amazing! I love, love, love scallops and this is the perfect way to use them. If i make this ahead of time for lunches, do you think it would be awful to reheat it including the noodles ? When I eat this as leftovers I eat it cold, but I really don’t like the way zucchini noodles heat back up. You can definitely heat it up, though it changes the texture of the noodles. Well… I’m new to the zoodle world, and as silly of a question as this, I genuinely don’t know the answer. 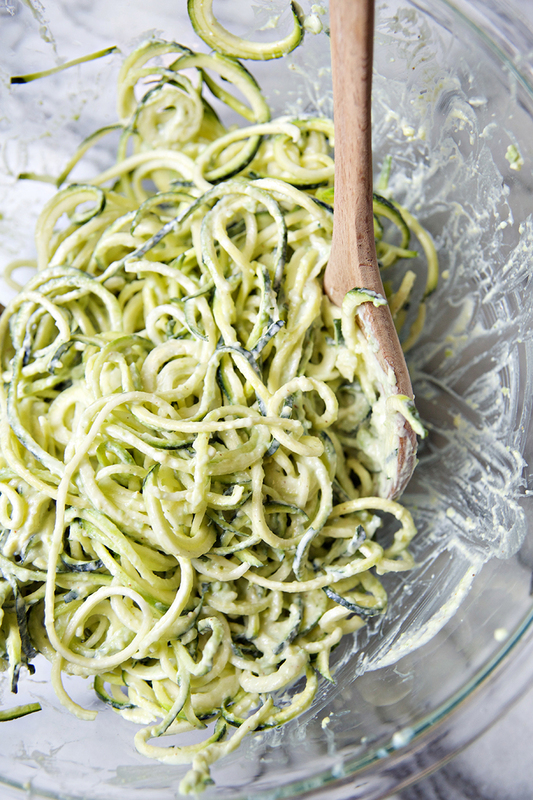 How do you cook the zoodles – or do you? The recipe just says to toss with the sauce. Is that in the pan, already cooked someway or raw? For this recipe, the noodles are raw. I don’t really love cooked zucchini. Some people cook them quickly with some oil, but I don’t find that necessary for the enjoyment of the dish. I am a newbie with healthy food. This recipe was a delight to my eyes and made my mouth water. I was interested in knowing what spiralizer you use? Thank you.. Spectacular dish! Truly inspired. Thank you. Elena – I tried this last night. First time doing noodles. It was SO GOOD! I love the heat from the chili tempered by the cool yogurt and avocado, The corn adds such a nice cru ch and color. This will be a summer staple for me for sure. Thank you!